- promote tourism linked to the town's maritime heritage. 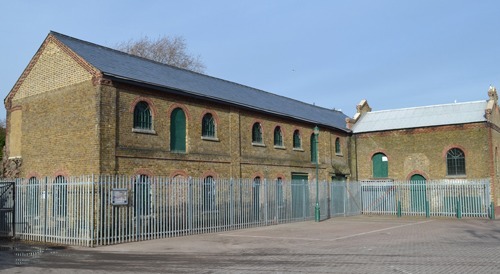 In order to achieve these aims the Trust is refurbishing the Purifier building to act as a training centre, a workshop, and a focus for community activities relating to the town's maritime heritage as a Cinque Port Limb. In partnership with other organisations it is also campaigning for a new lifting bridge that will re-open access to the upper basin, and contributing to the local authority planning process. Some lovely illustrated posters have been produced to show the different aspects of the Faversham Creek and the aims of the Faversham Creek Trust. We thought you might lke to enjoy them too, so we have linked them to the titles below. Please see under Links, top left of this page for more details of the Creek Vision and the Creek Trust website.